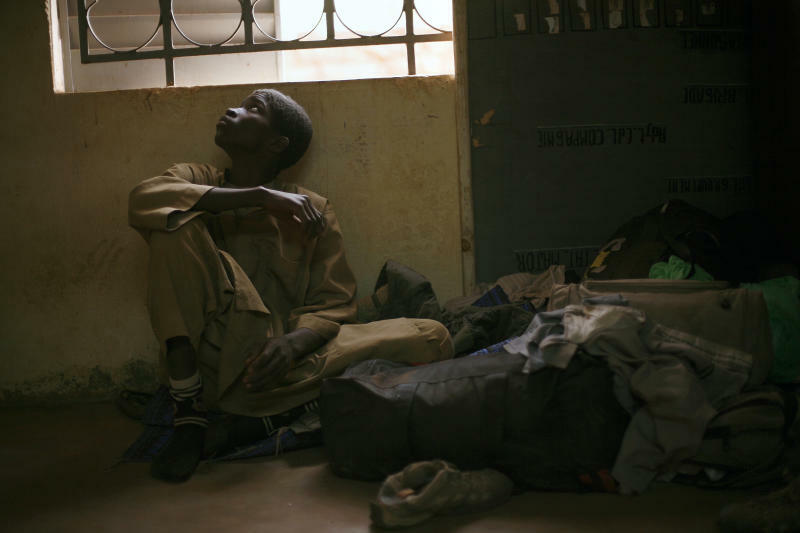 SEVARE, Mali (AP) — The boy sits with his knees tucked under his chest on the concrete floor of the police station here, his adolescent face a tableau of fear. He's still garbed in the knee-length tunic he was ordered to wear by the Islamic extremist who recruited him. It's these same clothes, styled after those worn by the Prophet Muhammad in the 7th century, which gave him away when he tried to flee earlier this week. They have now become his prison garb. Adama Drabo is 16, and his recruitment into the ranks of a group designated as a terrorist organization, followed by his violent interrogation at the hands of the Malian army, underscores the obstacles faced by France as it tries to wash its former West African colony clean of the al-Qaida-linked fighters occupying it. "In terms of the rules of engagement, you have to think to yourself, what will you do if a child comes up to you wearing an explosive vest? What do you do if a 12-year-old is manning a checkpoint?" says Rudolph Atallah, former director of counterterrorism for Africa at the Pentagon during the Bush administration. "It's a very difficult situation." France, which now has around 2,500 troops on the ground, plunged headfirst into the conflict in Mali two weeks ago, after the Islamist groups that have controlled the nation's northern half since last year began an aggressive push southward. The French soldiers are equipped with night vision goggles, anti-tank mines and laser-guided bombs. However, their enemy includes the hundreds of children, some as young as 11, who have been conscripted into the rebel army. Among those the French will have to fight are boys like Adama, the uneducated, eldest child of a poor family of rice growers, who until recently spent his days plowing fields with oxen near the village of N'Denbougou. 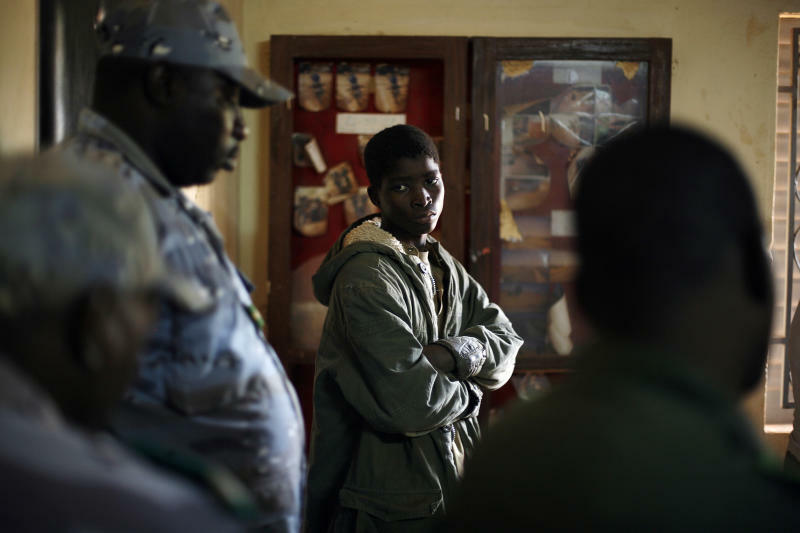 Living just 15 miles (25 kilometers) from the central Malian town of Niono, which has become one of the frontlines in the recent war, Adama fits the profile of the types of children the Islamists have successfully recruited. His village has a single mosque, and unlike the moderate form of Islam practiced in much of Mali, the one he and his family attended preached Wahabism. "We have observed a pattern of recruitment of child soldiers from villages that for many years have practiced a very strict form of Islam, referred to as Wahabism," says Corinne Dufka, senior researcher for West Africa at Human Rights Watch. "We estimate that hundreds of children have been recruited." The groups allied with al-Qaida started recruiting children soon after they seized control of northern Mali last April. Rebel leaders quoted verses from the Quran which they claim describe children as the purest apprentices. Since then witnesses have described seeing children staffing checkpoints, riding in patrol vehicles, carrying out searches of cars stopped at roadblocks, as well as preparing tea and cooking food for the fighters in the towns controlled by the insurgents, says Dufka. The United Nations children's agency said late last year that it had been able to corroborate at least 175 reported cases of child soldiers in northern Mali, bought from their impoverished parents for between $1,000 and $1,200 per child. Malian human rights officials put the total number of children recruited by the Islamists considerably higher at 1,000 — and that was before the French intervention. Adama, who is now being held at the Sevare gendarmerie, was hired as a cook two weeks ago by Islamist fighters in Douentza, a city controlled by the Movement for Oneness and Jihad, or MUJAO. 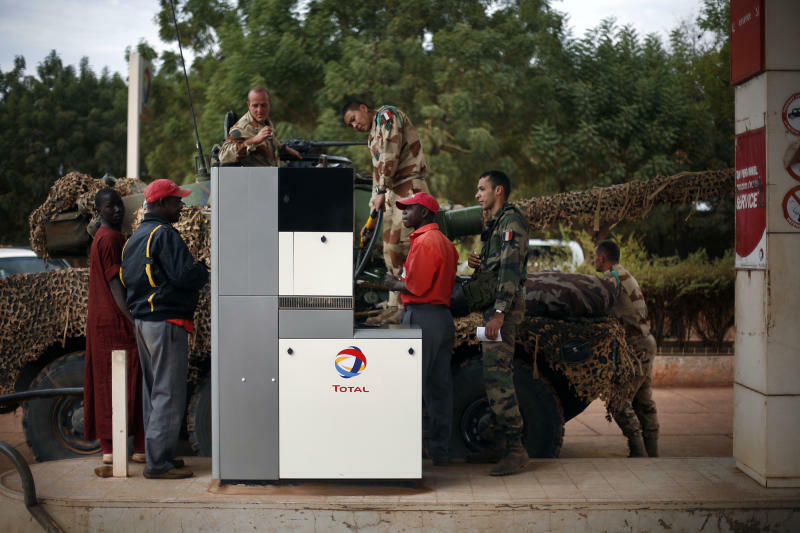 Its members have been linked to the recent terrorist attack on a natural gas plant in Algeria, which ended in the death of at least 37 hostages, according to the Algerian government. The teenager claims he didn't know he was working for a terrorist group, even though the insurgents who ate the macaroni he cooked carried guns, wore beards and dressed in the unfamiliar Gulf-style clothes they gave him. He says he joined them only for the money they promised they would pay at the end of each month. The police holding him say he was promised around $200 a month, several times the average monthly salary here. Adama explains that his friends in Niono said they knew people in Sevare who would give them work. So they took a Peugeot 207 taxi to reach the town. "It was there in the town that we met some people and they hired us to cook for them," he says. "They said that at the end of each month we would get paid. ... And so we started cooking for them." He says that even though some of the fighters in their entourage went to fight in the Niono area, he was unaware of their battle plans. The men spoke Arabic and Tamashek, a Tuareg language, which he did not understand. One day, when he went to the corner store, the shop owner told him a war was on, he says. "I told my friend, 'Even if the month isn't over yet, we need to get out of here.' We walked to the next village, where we found an old man there, and we asked him if he could please give us some water? The old man said he couldn't give us any water, because we're rebels. We said, 'We're not rebels. Give us some water.' It was then that a man on a motorcycle came by. The motorcyclist said that we are wearing the clothes of the Islamic fighters." The boys tried to run. The friend got away. Adama was handed over to the Malian military, which in recent days has been accused of executing dozens of suspected Islamists, including a group of six men who arrived in Sevare without identity cards. Adama may have been saved by the international outcry that followed the reported executions this week, says Atallah, putting immense diplomatic pressure on Mali's ill-trained and often incompetent army to respect human rights conventions. "I was frightened," says Adama. "They said they were going to kill me. ... They said this several times." During the interrogation, especially on the first day, the soldiers threatened to execute Adama if he did not tell the truth, he says. They hit him, he says, and slapped him across his face. It was only on Friday, according to Adama, that the soldiers told him they would not kill him. "For four days, they kept me in jail with two big people," he says. "I feel somewhat reassured now, but not totally reassured. Because I am still not free." Child soldiers have been part of the fabric of African conflicts for decades now. In Liberia's civil war more than 10 years ago, drugged 12- and 13-year-olds were famously photographed toting automatic weapons and teddy bears. However, the standoff this time is between a Western army bound by the Geneva Convention and Western values on human rights, and an enemy that includes hundreds of children. One of the most active groups in northern Mali is al-Qaida in the Islamic Maghreb, the terror network's affiliate in Africa, which originated in Algeria. In 2008, the group released a video showing a cheerful 15-year-old in Algeria who was suffering from a terminal illness, Atallah says. The Islamists convinced the boy that the best thing he could do with what remained of his life was to die for Allah, according to Atallah, who saw the recording. "The video shows him smiling," he says. "They taught him how to drive a van. And then they filmed the van as it left, just before he detonated himself. I wouldn't put it past them to do this again." Associated Press writer Krista Larson contributed from Mopti, Mali.